This is going to be the hottest toy this Christmas. 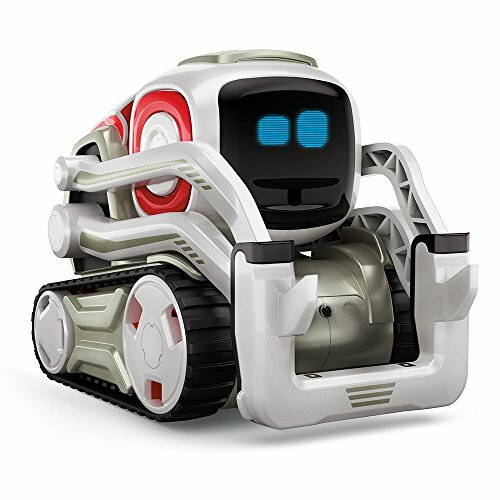 Anki has done a great job in putting personality into Cozmo. Right from the start it behaves just like a likable puppy arriving at a new home. Cozmo arrives in a unusual packaging. Cozmo itself sits in the top half of a vertical box, visible through transparent packaging, like many toys. However, it is held down by a well designed bracket that requires some handling and reading of the simple diagram to remove. No cheap twist ties for Cozmo. 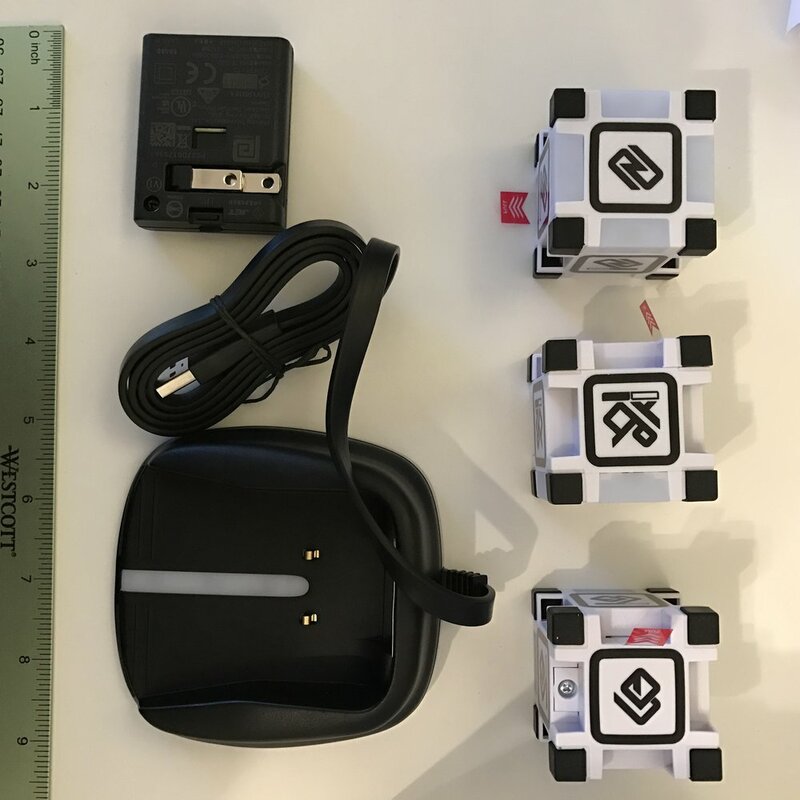 Removing Cozmo and the thin documentation package reviews the charger and the cubes. The charger has a flat tangle free USB cable which is nice. 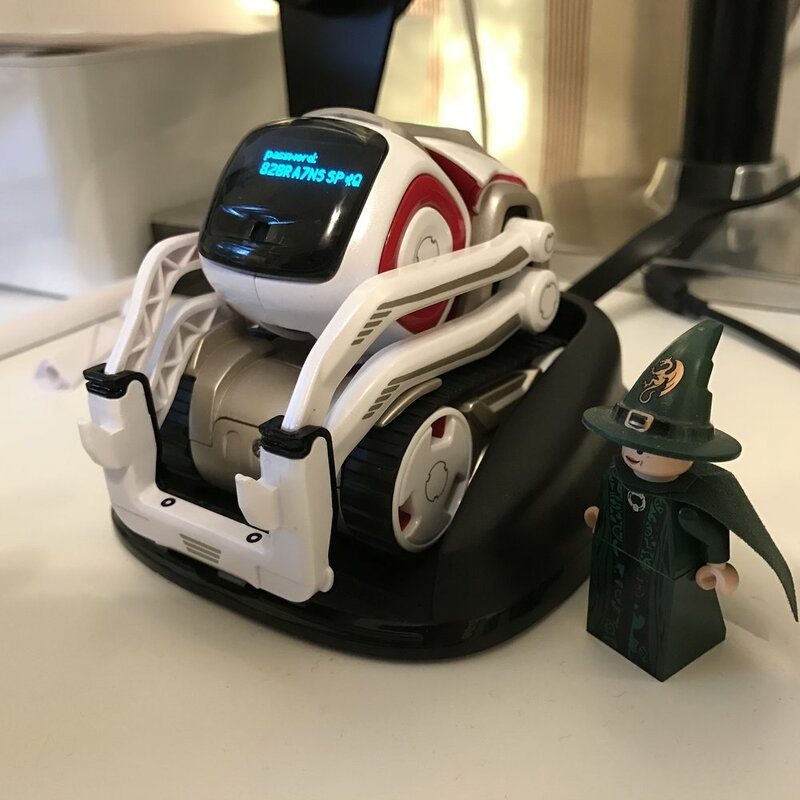 The charging base, where Cozmo sits, is connected to the actual charging unit via USB. The charging unit/brick is very small with a set of foldable plugs. I assume the charger can be plugged into a different USB charger, like many that we have around charging our phones. Once nice packaging tough -- the charger's USB cable is tied down with a piece of straw, not the typical plastic ties. 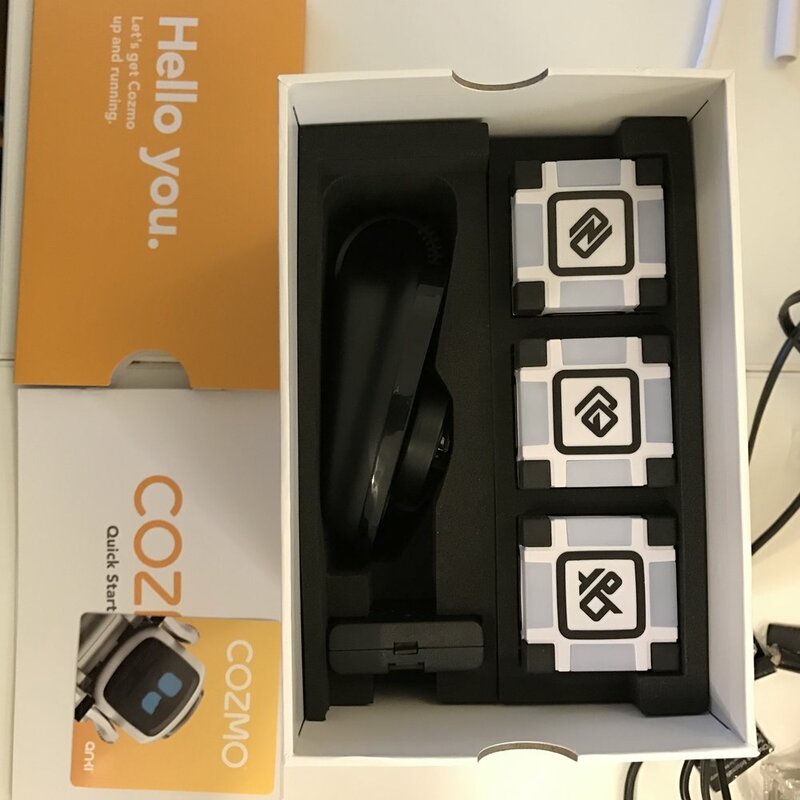 It is important to note that Cozmo requires a smartphone or iPad to function. Much of the "smarts" is actually in the application running on the smartphone/tablet. You need to connect the smartphone to Cozmo via a private WIFI connection provided by Cozmo. When you switch Cozmo on, it shows a very long alphanumeric password on it's face/screen. Here comes the first issue. I tried many times and I keep getting invalid password or connection error trying to connect to cozmo. Anki's documentation recommends you first type the long password in another application (notes, or evernote on my iPhone in my case). Then you can correct typing, and copy and paste to retry. While Cozmo's display is nice, the font it uses to display the password is small. Make sure you tell S apart from 5, and 8 apart from B. If you run into problem, I recommend turning off and back on wifi on your phone, and try pasting the password again. Cozmo charges up very quickly as it came partly charged. This is important because there is nothing more frustrating than having to wait an hour to try it out. In our case within minutes I got to try playing with Cozmo. The Cozmo app first take you thru an introductory task, like "Meet Cozmo" where you can train Cozmo to recognize your face and say your name. My two kids and I all "registered" our name and faces with Cozmo. The facial recognition works well enough to tell us apart. There are then other task and games that you can unlock. I assume as you interact with Cozmo, the app lets you move onto new things. We played the reaction game first with one color, then with two colors with Cozmo. It is fun to see him losing some time, and gets mad and flip the cube in disgust. There are tasks like lifting a cube, and stack a cube that you can let Cozmo try. I don't know if this unlocking task process is just there to make you interact with Cozmo, or you actually need to train Cozmo's AI (at this point mostly to see correctly) before moving onto more difficult tasks. I assume it is the former. This review is written only after playing Cozmo for two days. It definitely is fun. I am going to test out the SDK next. I think this "toy" will appeals to both kids and adults, either just as a fun "home robot pet", or something that you can start programming additional behaviour as a STEM toy.